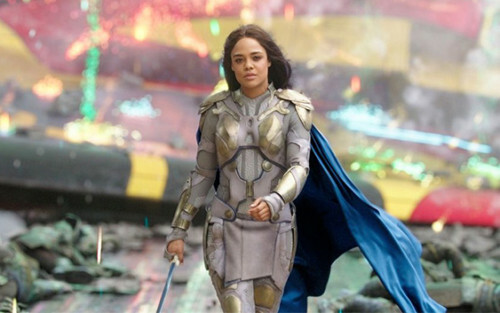 The Hollywood Reporter have broken the news that Tessa Thompson is to join fellow Thor: Ragnarok star Chris Hemsworth in Sony’s Men In Black spin-off. Thompson, who is currently in North American cinemas with Furlough (2018), has added the yet-to-be-titled spin-off movie to a slate of projects including Creed II and Little Woods, the latter co-starring Lily James. The new Men In Black movie will be a reboot akin to that of Jurassic World, in which the universe of the original movies will exist but the story will be pushed forward by new characters. Straight Outta Compton and The Fate of the Furious director F. Gary Gray is set to direct the film, with Iron Man and Transformers: The Last Knight screenwriters Matt Holloway and Art Marcum writing the screenplay. Details regarding the roles of Thompson and Hemsworth are thin, with the latter not yet believed to have signed a deal (though talks are at an advanced stage), but it is believed that the new film will not focus on a duo of lead characters in the same way that the original trilogy did and will instead feature an ensemble of stars. The film is set for release on 14th June 2019.